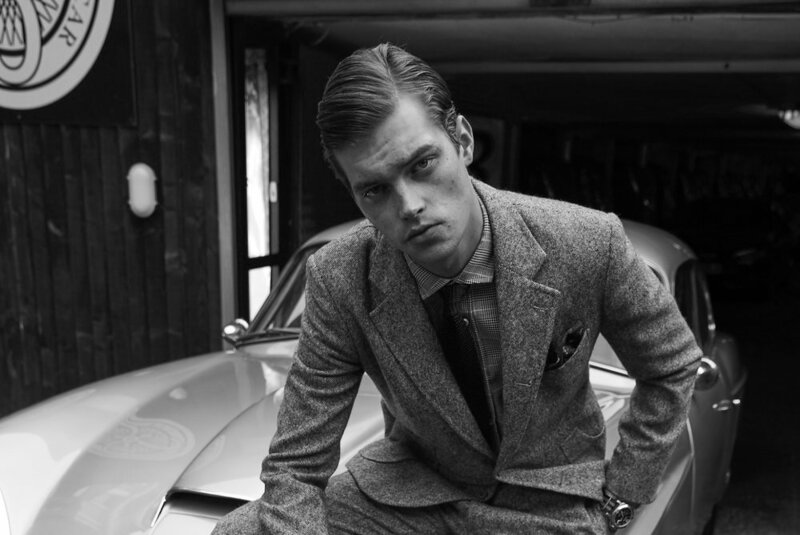 MbE’s bespoke and made-to- measure service has an incredibly rich heritage. Its founding partner Timothy Everest MBE was a pioneer of the New Bespoke Movement and has been involved in ateliers in London's Spitalfields for over twenty-five years. Tim (as he is known to his friends and clients), began his career with the legendary Savile Row tailor, Tommy Nutter, who dressed the Beatles, Mick Jagger and David Hockney to name but a few. Tim has followed in Tommy's footsteps dressing a myriad of rock stars, artists, actors and politicians and has a long history in the provision of the iconic wardrobes for major films such as Atonement, Skyfall and the Mission Impossible franchise. The consummate designer and collaborator, he has also designed tailored ranges for brands such as Rapha, La Martina and Superdry. Tim is at the forefront of the bespoke casual movement, which as the name suggests, provides individually tailored casual clothing including casual shirts, smart-casual jackets and jeans of Savile Row quality. In 2010, Tim was awarded an MBE for his services to tailoring. Whether it's a suit, jacket, trousers or even a pair of jeans, we create and craft a garment that is "bespoken" to you from scratch. A typical bespoke suit will take over one hundred hours by our skilled tailors to create and craft. Bespoke garments are made to your specifications in any fabric of your choice. It's highest expression of our craft and your personal style. The bespoke process is a collaborative one. After an initial consultation where we assess your requirements, your measurements are taken to create your individual “pattern” and at this point we begin creating and crafting your bespoke garment. Over a series of fittings we work with you to create a bespoke garment that fits you and your requirements exactly. The result is a piece of unique clothing that you’ll be wearing for years to come. A half-way house between bespoke and ready-to-wear, but with no less attention to detail. Where as with bespoke, we create a “pattern” or template from scratch; your garment is then made by hand, with made-to-measure, an existing template or “block” is adapted to your specifications, your garment is then made by highly skilled machinists and finishers. MbE offers the same choice of fabrics for made-to-measure as for bespoke. But because made-to-measure is adapted from an existing block, there are limits to how much it can be customised, and fewer fittings in which to fine-tune. Of course, the end result will still be an exceptionally well-tailored garment. The main advantage of made-to-measure is a more streamlined process than that of bespoke which make is a more affordable way to have a jacket or suit made that is tailored to you. If you would like to find out more about our tailoring and which is the most appropriate for your requirements, then please contact us at info@mbe.studio to book a consultation.